Attractive and highly integrated design. Stable, yet agile performance, easy to fly. Attractive and highly integrated design. Stable, yet agile performance, easy to fly. __The Phantom is DJI's first small size Ready-to-Fly VTOL. It not only has an attractive appearance, but also has a built-in Naza-M + GPS multi-rotor autopilot system giving a stable and reliable flight characteristic. It also comes with its own dedicated R/C controller. Flight parameters and functions have been setup and tuned by DJI engineers before delivery, so you can fly your Phantom the moment you receive it. 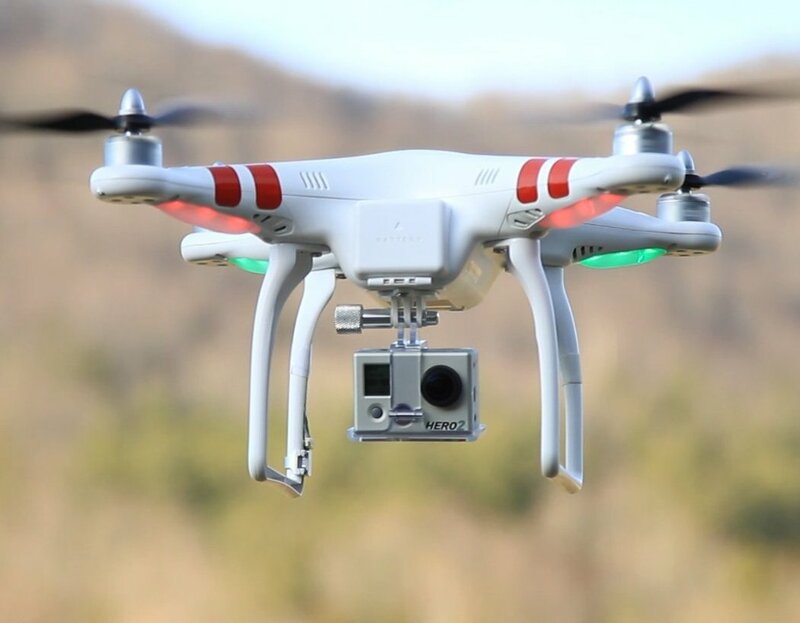 It is so easy to operate and stable, this makes aerial filming a breeze. DOES NOT COME WITH GOPRO CAMERA, MUST BE PURCHASED SEPARATELY Contains remote control unit, ready to fly.__High intensity LED Indicators, to aid orientation during flight. GPS & Compass module included. __Camera mount included for GoPro. Lipo flight battery and charger included. __Low voltage protection. Two flight control modes, including position hold. __Intelligent Orientation Control (IOC) mode.